Canada is ready to authorize the distribution, production, sale, and use of recreational marijuana. This is following the legalization of medical cannabis in the country in 2001. The Cannabis Act (Bill C-45) is final. In November 2017 the House of Commons gave its approval to make marijuana legal in Canada. The approval by the Senate followed in June 2018. Companies who produce and distribute marijuana are working on their business plans as well. This is because the federal government is in the process of polishing the law to make marijuana legal in Canada. Growers from around the country are lining up to apply for a license to grow and distribute marijuana. They wanted to make sure that products are ready to accommodate the anticipated demand. This is as soon as the government gives them the go signal to sell. Prime Minister Justin Trudeau said that the law will go into effect on July 1. Issues on retail sale, however, pushed the final date to October 17, 2018 to resolve issues. Trudeau’s statement is an answer to those asking the question” is marijuana legal?”. How will legalization of marijuana in Canada boost the country’s economy? 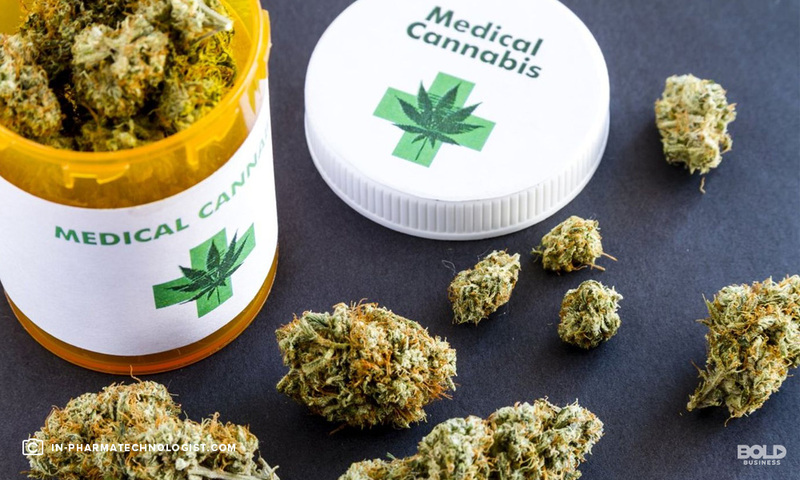 Just like in any other state in the US where economic benefits from legal medical marijuana, analysts see the marijuana legalization in Canada as a major step up for the country’s economy. Deloitte conducted a study and reported that making marijuana legal in Canada can potentially boost Canada’s economy by around $22.6 billion yearly. This includes revenues from tourism, license fees, paraphernalia, and taxes. StatCan, Canada’s statistics agency, is also commencing to measure the economic impact of the cannabis industry in the market. On the other hand, the Parliamentary Budget Officer of Canada estimated a CA$4.2 to CA$6.2 billion annual sales for marijuana. The estimate of Canada’s PBO came from both an initial market size for marijuana, and the focus is solely on recreational marijuana market. The export of cannabis will catapult the potential growth of Canada’s economy. Experts are eyeing Canada to become the most reliable supplier of cannabis because it is the first country among the G7 nation to fully legalize marijuana. G7 nation refers to countries with the seven largest advanced economies in the world. The largest multinational cannabis growers and distributors will be Canadian companies, experts say. As more countries are beginning to discuss cannabis legalization, Canada has the advantage to supply the demand for the growing cannabis market—locally and internationally. Marijuana legalization in Canada will also encourage more investment opportunities in cannabinoid science, research, and medicine. The availability of legal marijuana will also likely make it more affordable for the general public. It’s like introducing a much-needed commodity in the market. With the expected demand to soar high after legalization, producers, and growers are starting to venture and expand. Meanwhile, in some parts of the country, large marijuana companies are partnering with other global companies for worldwide marketing. Some of them have switched from growing lowland vegetables to breeding cannabis. 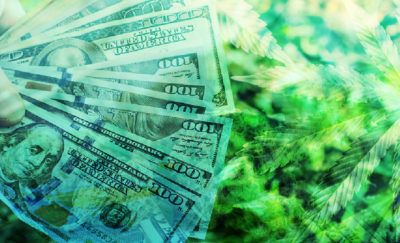 Among the huge players in the market is Pure Sunfarms, the 50–50 joint venture of Emerald Health Therapeutics and Village Farms International. The company has recently announced to start its commercial-stage production after receiving its cultivation license to grow marijuana for commercial scale. A huge production as Pure Sunfarms will leverage Village Farms’ enormous 1.1-million-square-foot Delta 3 greenhouse facilities that used to grow bell peppers, cucumbers, and tomatoes. The area is capable of producing 300,000 kilograms yearly. Village Farms is eyeing to multiply its revenue 10 to 15 times. The cannabis industry also opens huge opportunities for small marijuana growers. However, some analysts foresee an imbalance in the competition especially when huge players like Purefarms with multimillion financial supports started to lower their price. The challenge posed is how small growers will be able to compete. Some of the small growers claim that a production like theirs has the capacity to maintain quality compared to mass-produced cannabis. The biggest challenge for the government after making marijuana legal in Canada is how to ensure that there will be safe, healthy, secure, and well-regulated cannabis consumption. The law on marijuana legalization in Canada hopes to eliminate the illegal cannabis market, lower the crime rate related to drugs, and protect the consumers in general. The government will allot $46 million for the next five years to educate the public, especially the youth, on the use of cannabis. Each territory of Canada is expected to impose stricter rules and regulations. Producers who would like to secure a license to grow and manufacture cannabis need to complete stringent requirements. The government is also set to look closely at what producers and distributors are allowed to sell. Having marijuana legal in Canada still means promoting it is still prohibited though. The use of cannabis as ingredients in edibles is banned as well. The coming years will definitely be challenging for the government in terms of educating the public, restricting promotions about marijuana, and imposing rules on the use, sale, and distribution of cannabis. But Canadians should also remember that the success or failure of this legislation depends on them as the responsible public. Based in Vancouver, BC, Future Farm Technologies engages in sustainable agriculture through production of wholesale and retail cannabis products, including hemp. The company operates in Canada, California, Puerto Rico, Massachusetts, Maine, Rhode Island and Florida. Ontario is the home of Canopy Growth Corporation. The company is the first cannabis company in North America to trade publicly. They are the first to list on the Toronto Stock Exchange. Continuing those firsts, they remain the only cannabis company that is a member of a major global stock market index, the S&P/TSX Composite index. Their brands include Tweed, a global cannabis brand, Spectrum, DNA Genetics, Palm Tree CBD, and Craftgrow. An update to this story, Constellation brands is investing CAD $5Billion, or roughly $4B into Canopy Growth Corporation. This is the largest investment made to date in the cannabis space. The stock price rocketed 30%, making it the largest single day gain since they started trading on the NYSE. Hailing from Cremona, AB, Aurora Cannabis is is one of the largest Marijuana companies in the world and currently has operations in 14 countries. The company production capacity potential would be the largest producer with its projected ability to produce 570,000 kg per year. Aurora Cannabis also designs and sells systems used for indoor cultivation of cannabis, herbs, vegetables and microgreens and offers consulting services. Vancouver is the home of We Grow BC Ltd. The company recently announced that it is signing a Manufacturer’s Representative agreement with Ontaria based Aphria Inc. Aphria is a 100% greenhouse grown Cannabis product. With its home in Toronto, The Cronos Group is making recent news with its supply agreement with Cura Select Canada, Ltd (CURA). Cura is one of the largest cannabis companies in the world by revenue. Its goal is to lead distribution of premium cannabis oil and hemp oil to the legal U.S. and international markets. As Bold Business previously reported a few months ago, we believe that the Cannabis industry can be larger than the booze market. Making marijuana legal in Canada has a bold impact and is just beginning to take root.